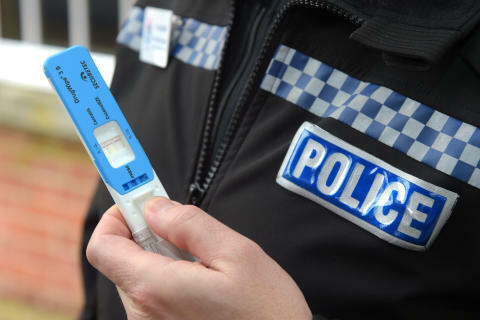 As part of our joint summer drink drive campaign Hampshire Constabulary and Thames Valley Police have seen a 37% rise in the number of drivers arrested for drug driving and a 25% increase in the number arrested for drink driving, compared to last year. 3,327 drivers were tested overall during the month-long campaign that ran from the 14 June to 15 July 2018, resulting in a total of 536 arrests. Stop and roadside checks were conducted both morning and evening where drivers were asked to provide a voluntary breath test. Out of the 151 arrested for drug driving offences – 94% were male drivers and 6% were female drivers. Hampshire and Thames Valley’s Joint Operations Road Safety Sergeant, Rob Heard, said: “We made it clear to drivers that we would be stepping up our enforcement for drink and drug driving and warn them against the dangers of driving under the influence of alcohol or drugs. “We also shared the personal tragedy of Karen Marchant, who lost her daughter to a drink driver in the hope that it would deter others from taking that risk. “Sadly, there are still a significant number of people that think it’s acceptable to get behind the wheel of a vehicle after consuming alcohol and/or drugs, risking their own life and other innocent people’s lives. If you would like to support our road safety messages and help to raise awareness of the “Fatal Four” you can download the symbols for your vehicles.